Updates to Rebecca Laraine's profile since your last visit are highlighted in yellow. I'm a full time mom of 3 children ages are 18, 17, and 14 living in Baxter TN. Rebecca Laraine Shaw Helton has a birthday today. Rebecca Laraine Shaw Helton updated profile. View. 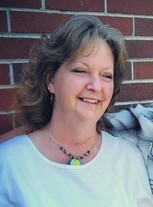 Rebecca Laraine Shaw Helton changed profile picture.